All you need is the recipient's name (cloud9city) and email address (cloud9city@outlook.com). 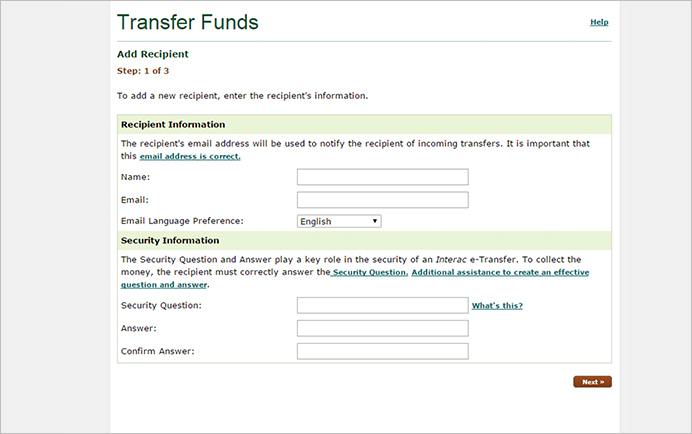 After registering for the Interac e-Transfer service, you add the names and email addresses of recipients to your Recipient List. You also create a Security Question and Answer specific to each recipient (make sure the answer is always "cloud9city" all lowercase without the quotations). The Security Question and Answer, which you create prior to the transfer taking place, are used to ensure the identity of the recipient. If the question is not answered correctly, you will be advised via email and instructed as to how to deposit the money back into your account. Within 24 hours an email will be sent that contains your tracking information and invoice. Away from your computer? You can also send money. whether you’re out with friends or at the coffee shop. 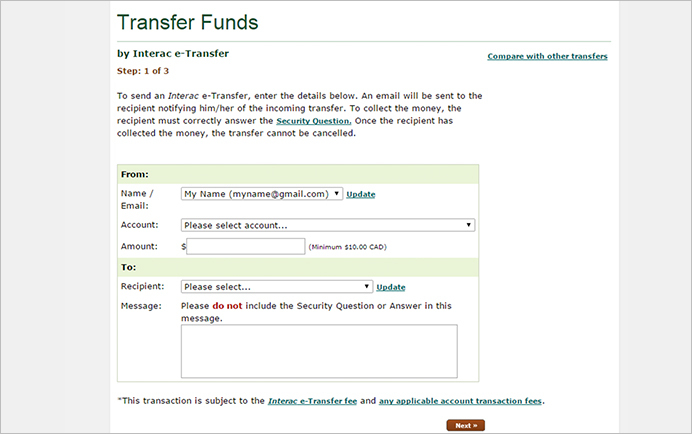 When you send an Interac e-Transfer, the recipient will receive an email notification asking them to log into their online banking and answer the security question you've provided in order to accept the funds. This guide can also be used for all Canadian banks as the steps are similar, please contact us at cloud9city@outlook.com if you have any questions or concerns. 1 . 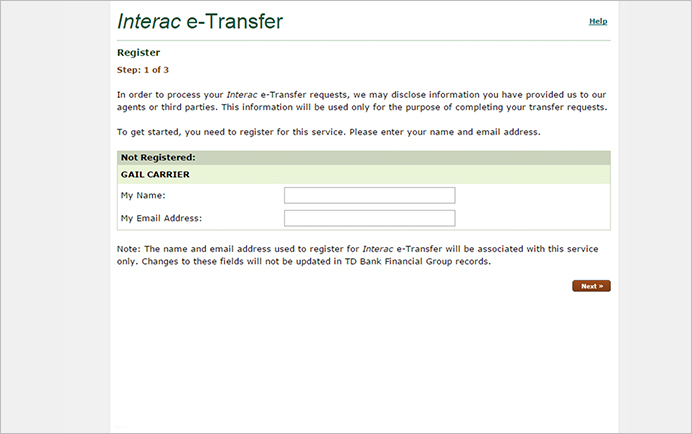 Login to EasyWeb and click on Transfers > Interac e-Transfer from the left menu. If you haven’t registered for EasyWeb yet, you’ll have to do that first. 2. Add a recipient simply by entering their name (cloud9city), email address (cloud9city@outlook.com), and providing any security question. Make sure the answer is always "cloud9city" (without the quotations and all lower case) and Once you verify your details click Next. 3. The final step is to select the account that you want to withdraw the money from, choose how much you want to send5 and select your recipient. Once you confirm all details, click Next. You will receive an email notification once the money has been deposited. Make sure you send the correct amount displayed as your final price. Back to Guides and Information.